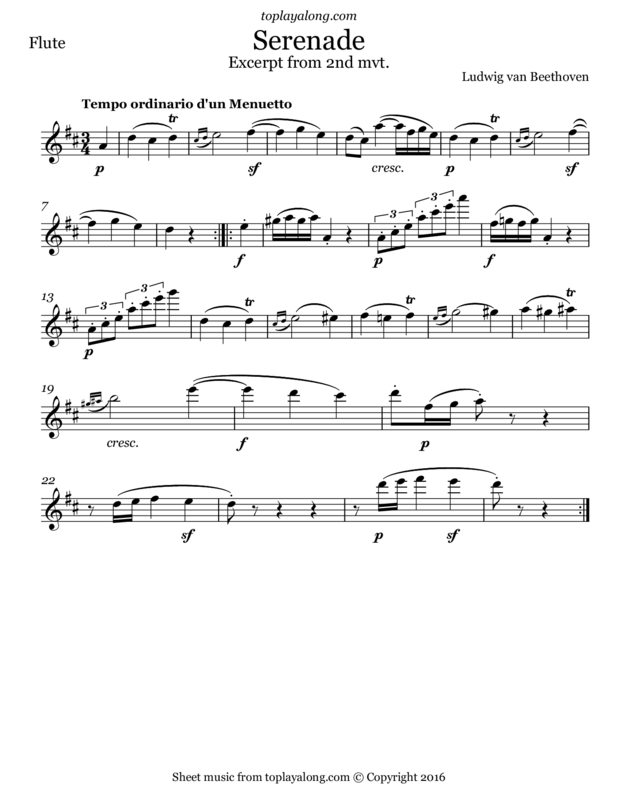 Excerpt from the second movement of Serenade for Piano and Flute or Violin in D major, Op. 41. In 1803, Franz X. Kleinheinz arranged the Serenade, Op. 25, for flute/violin and piano, which Beethoven checked and approved. This was printed in December, 1803, by Hoffmeister & Kühnel in Leipzig as Beethoven's Op. 41.